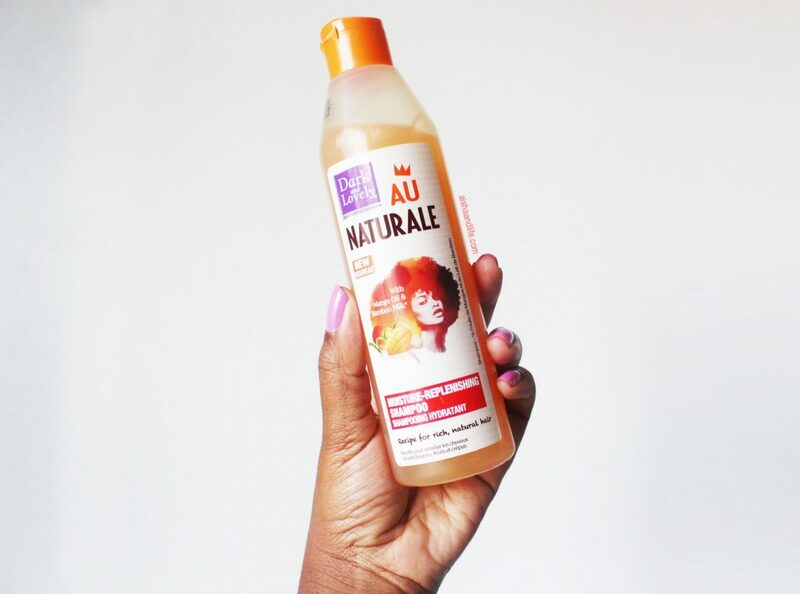 If I had to pick one thing I get asked the most, and most frequently, it’s what products I use, or what I can recommend to naturalistas at different times of their journeys. Well, I’ve used many! And I’ve found plenty of duds but there are some great ones out there too. Some that are obvious, others not so much. Some aren’t as readily available in South African stores, while others may break the bank. So I thought I’d share with you some hair products I recommend and can personally vouch for with this series. They’re all easily available in SA and all R100 or less. I think it’s safe for me to say that many, many, many of us have been waiting for this. A couple of years ago, Dark & Lovely launched an entire line for naturals abroad and it finally landed in South Africa late 2016. I’ve been using the line for the past few weeks and I have to say, I’m impressed. This shampoo cleanses hair in a gentle way, without making that squeaky clean sound. It foams up, just how I like it and it leaves my hair smelling like a tropical resort without drying it out. From an affordability aspect, it’s hard to beat at just under R40. From a heritage point of view, it’s a great pick from a brand we’ve all grown up with. Nice one Dark & Lovely. Ingredients: 42914 SS1 – Water, Cocamidopropyl Betaine, Sodium Laureth Sulfate, Cocamide Mea, Sodium Chloride, Fragrance, Phenoxyethanol, Polyquaternium-7, Polysorbate 20, Potassium Sorbate, Glycol Stearate, Mangifera Indica Seed Oil/Mango Seed Oil, Caprylic/Capric Triglyceride, Polyquaternium-10, Citric Acid, Sodium PCA, Disodium EDTA, Sodium Benzoate, Benzyl Salicylate, Linalool, Benzyl Alcohol, Bambusa Vulgaris Extract, CI 19140/Yellow 5, CI 14700/Red 4, CI 17200/Red 33, CI 42090/Blue 1. Where do I start with this. This is one of the few products that have remained in my product list for years. This bottle can last…well, forever if you don’t mind recommended expiry dates (please mind expiry dates). It’s a clarifying shampoo, so it removes product build up but the key thing for me is it doesn’t strip my hair for it to end up feeling like straw. A couple of drops is all I need to get a great, thorough cleanse with this, even when I still had longer hair. Fro ends up fluffy, a bit lighter and definitely brighter. And I love that it has some of my fave ingredients in the mix; aloe vera juice, olive oil and castor oil. Staple. Ingredients: Aqua, Ammonium Lauryl Sulfate, Ammonium Laureth Sulfate, Disodium Cocoamphodipropionate, Cocoamide Mea, Trideceth-7 Carboxylic Acid, Polyquaternium-10, Cetrimonium Chloride, Olea Europaea (Olive) Fruit Oil, Aloe Barbadensis Leaf Juice, Hydrolyzed Collagen, Glycol Distearate, Laureth-10, Sodium Laureth Sulfate, Polyquaternium-7, Lauryl Glucoside, Sulfated Castor Oil, Lecithin, Propylene Glycol, PPG-5-Ceteth-10 Phosphate PEG-12 Oleate, Capric/Caprylic Triglycerides, Coco-Glucoside, Glyceryl Oleate, Cetyl Triethylmonium Dimethicone PEG-8 Succinate, Silicone Quaternium-2 Panthenol Succinate, Parfum, Butylphenyl Methylpropional, Hexyl Cinnamal, Disodium EDTA, Citric Acid, DMDM Hydantoin, Methylchloroisothiazolinone, Methylisothiazolinone, CI 42053, CI 19140. I know, Schwarzkopf as a brand is a bit of a surprise. Many friends whom I’ve recommended this to looked at me puzzled but I can vouch for pretty much all of the products under this line. So yes, this isn’t technically a shampoo but I couldn’t leave it off this list because it’s such a God send for us weave and braid gals. The weave itch is real, so you know that every once in awhile you need a bit of help, and I don’t mean the hand pat. 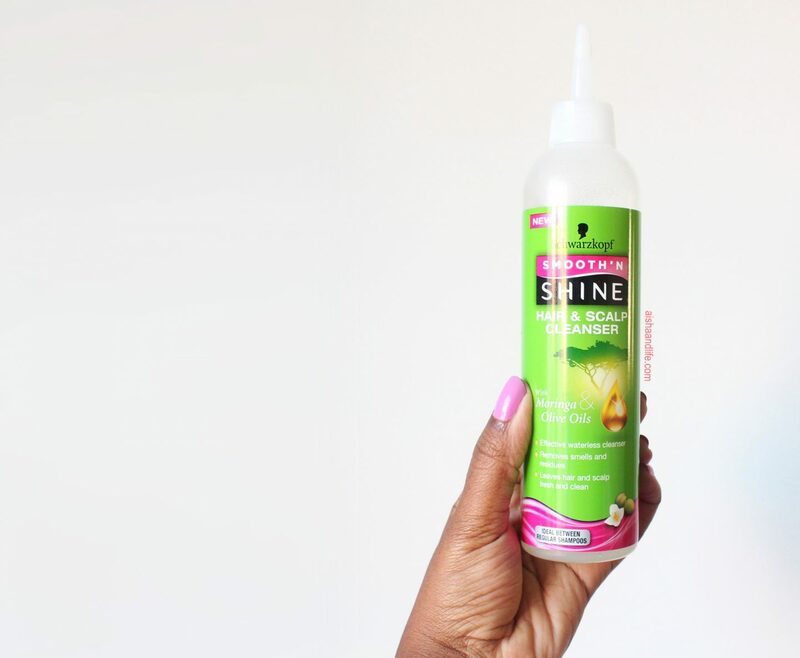 In between my normal shampoos, I use this waterless cleanser to refresh my scalp when I’m protective styling. I love that it doesn’t dry my scalp out like the aerosol waterless cleansers (a white ashy scalp is never a good look). YES. Ingredients: Aqua, alcohol denat, PEG-40, hydrogenated castor oil, glycerin, olea europaea fruit oil, morings pterygosperma seed oil, panthenol, carbomer, parfum, sodium hydroxide, hexy cinnamal, benzyl salicylate, limonene, benzyl alcohol, linalool, coumarin. You can get all of the above products from Dischem or Clicks. I thank you for this post. I’ve been looking for a shampoo that won’t make my hair dry and hard to manage- esp now that I have stopped blow drying it ( with heat based dryers). So I’ve been loving the Dove range ever since u posted about them, and they also under R100 so they r perfect. Have you tried Aunty Jackie’s shampoo? 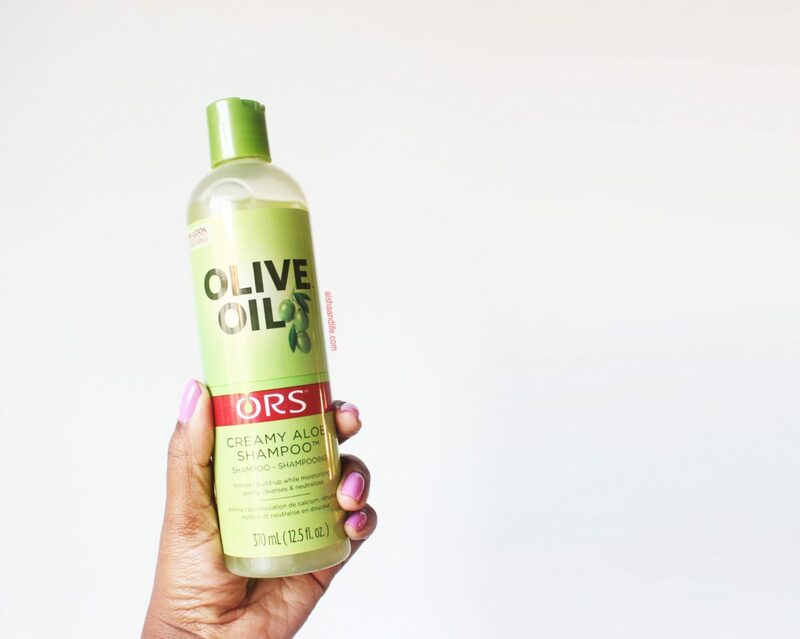 I loved the ORS when I was relaxed, haven’t tried it since my big chop. I’m looking for a moisturising Deep Conditioner though… something with very little or no protein. I deep condition weekly and its proving disastrous. Any suggestions? Thanks for sharing these affordable shampoos. May you please do a post on affordable deep conditioners or if there is one already…please share the link? Hmmmmm should we be worried that these products have things like Cetrimonium Chloride and Polyquaternium-7, Polysorbate 20 as ingredients ( … like what is that even. They sound deadly.) Do you have any ‘natural shampoos to recommend and are they actually effective. Sooooo may questions. Hi Thina, I’ve tried the all natural products route awhile ago and unfortunately it didn’t work for me. There’ll always be ingredients we question, which is great to do so I definitely suggest you look further into anything you’re not sure of. I guess the trick is to decide which ones you’re okay with and which you’re not.